The lead up to competition was hectic to say the least. Those who attended Robotronica at QUT this year may have seen Proteus in action, operating fully autonomously to navigate around obstacles and precisely drop blocks in pixel art patterns to draw pictures and spell words. However, what most don’t know is that after Robotronica the motor drivers were shot, the entire chassis had to be rebuilt to competition specifications, the internal electronics badly needed an upgrade and major code updates were required to make the robot competition ready. We worked on getting Proteus ready right up until Sunday night before flying to the competition on Monday 21st of September. We arrived at 7.30 on competition day to test everything a couple more times and everything worked perfectly. ABC came down to do some filming of the competition for the news, then the opening presentations were delivered. National Instruments spoke a little bit about the MyRio platform and LabView programming language used for the competition, and there was an overview of the history of the NI ARC. The competition rules were discussed and then it was down to business with the qualifying rounds. The competition is about having a robot navigate a course autonomously from a start zone to a pick up zone in the first area, then to a minimum points and/or extra points drop off zone in the second area, and optionally to a bonus points drop off zone in the third and final area, then to the finish. The robots are completely autonomous in all aspects except when being loaded, where a button can be pressed to tell the robot it is fully loaded up with appropriate cargo. As the competition progresses, robots face each other in knockout rounds and the number of cargo increases. There are also limits on how many cargo can be placed in each drop off zone, a time limit, and static and dynamic obstacles to be avoided. QUT Robotics Club was in the first group of qualifiers, and the first team to successfully navigate and complete the course. On the first attempt the robot finished inside but just on the line of the finish area, so some quick on-the-fly modifications were made to the path planner and the next two attempts were perfect. We ranked best in our group, and secure in the knowledge that we had made it through to the round of 16 knockouts went to lunch to relax after a very tense opening session to the competition. From here the competition proceeded in knockout rounds, with first vs. sixteenth, second vs. fifteenth and so on. 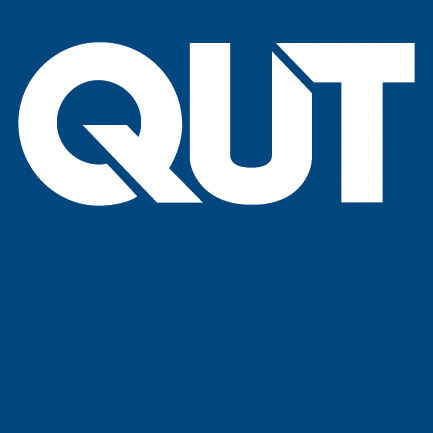 QUT was matched up against the University of South Australia – MERC team. The results of the first four matches went as expected, with the higher ranked robots beating out their lower ranked match-ups. When QUT lined up against the MERC robot however, Proteus simply wouldn’t move from the start. We tried everything we could, as the MERC robot slowly but surely took almost the entire time to complete the course. In the end, we just couldn’t get Proteus to go and lost by default. 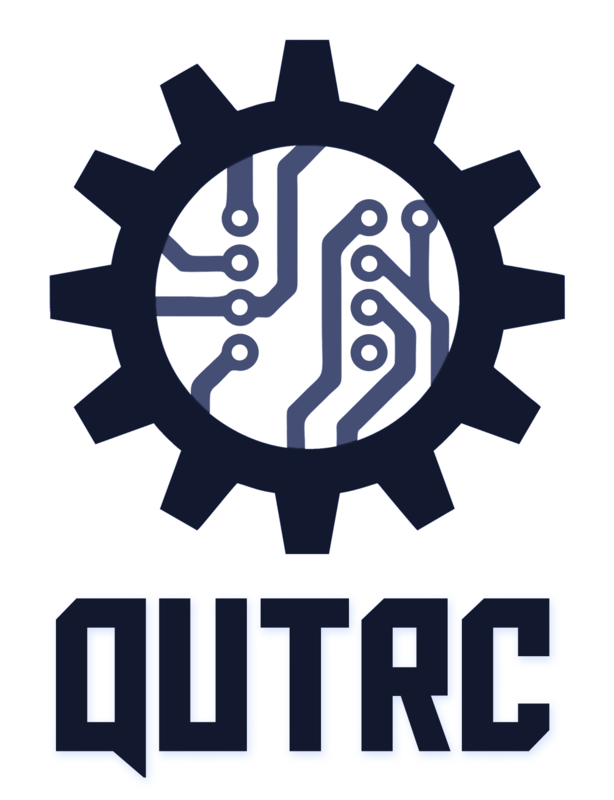 So ended the promising run of Proteus and the QUT Robotics Club NI ARC team. What made this loss even more frustrating was that after taking Proteus back to our table, we found that the motors were intermittently losing power because of electrical connectivity faults in the digital signals to the stepper motor drivers. There was simply a poor quality connection in the electronics, probably due to the rush we were in to get the robot ready in the week prior. The other teams weren’t without their problems though. Victoria University of Wellington crashed into a wall, but won because UNSW couldn’t find its way out of the first section of the course. Macquarie University stalled in the middle of the second section before dropping of their payload and looked like they might lose when Curtin successfully dropped off theirs, but then Curtin got lost and rammed an obstacle and lost enough points from that to let Macquarie through. UTAS beat out the Juggernaut in the first failure free match. Massey’s robot got completely lost before picking up the payload, so UTS Robotics Society went though. In the other matches, Woolongong and the University of Sydney went through. In the quarter finals, there were eight teams left. Victoria University of Wellington completed the course at a breakneck pace for maximum points, knocking out University of Sydney who had a problem at the final cargo drop. Swinburne faced off against Woolongong, who hit a wall then charged into the dynamic obstacle after losing their payload, so Swinburne went though despite dropping one of the cargo in the middle of the course. Macquarie faced a completely non-functional UTS, but had a great run anyway and went through. UTAS went against the MERC robot and had a few problems, first with a very slow cargo load, then dropping one of the payloads early and running into a wall before making it to the finish. They finished well ahead of the MERC robot which again took the slow and steady strategy, and only went for a single minimum points cargo drop off. UTAS lost points for their mistakes, again allowing the slower MERC to go through to the semi finals. The semi finals were fraught with controversy. In the Swinburne vs. Macquarie match, the Swinbot fell over and the Macquarie robot stalled in the middle of the field, so both teams agreed to a rematch. This time the Swinbot picked up its cargo before falling over again, and Macquarie picked up its cargo before stalling again. The win was given to Swinburne because of a technical foul by Macquarie. In the next semi the Victoria University of Wellington robot picked up its payload then ran straight into a wall, and so once again the MERC robot took its time through the course, defeating its opponent by simply completing it. In the end the final was to be between Swinburne and The University of South Australia’s MERC, with third and fourth fought out between Victoria University of Wellington and Macquarie. For their final match, Victoria University of Wellington had evidently fixed the problems they had against MERC as they once again blitzed the course, collecting maximum points with no deductions and picking up third place while Macquarie stalled again in the middle of the field. After talking to the team later on, we learned that Macquarie was using motors that were surprisingly low torque and they had overheated when the wheels became stuck on an uneven section of the course. The grand final match up was viewed by quite a crowd, made up of all the participating teams, academics, university students, and some of the general public. A quiet descended as the match started, but didn’t last long. Swinburne easily beat MERC to the cargo loading zone, and had slowed themselves down from the last match so they wouldn’t fall over with the extra weight. They rushed over to the second area, and tried to sneak between speed bumps and a wall to get into the extra points drop off zone. The crowd let out a collective groan when the Swinbot got caught on the wall guarding the drop zone, just as the MERC reached the cargo load zone. The rest of the match proceeded just as all the knockouts for MERC, dropping all of its payload into the minimum points zone, and slowly making its way to the finish as the incapacitated Swinburne team watched on. We take solace in knowing that we were beaten by the eventual winner of the competition, but there are lessons to be learned from this experience. The MERC team had a very reliable design, even if slow and simple. In every knockout round, its competitor had a failure, either mechanical, electrical or navigation. They tried for too much and ended up being their own worst enemy. This year’s NI ARC has been an incredible experience, and we had a great time meeting the other teams, seeing so many other fantastic and varied robot designs, and competing. All of our team considers this an amazing and worthwhile experience. We’ll be back next year with the goal of winning and bringing the competition to QUT. Below you will find photos and videos of almost every match from the competition. Project Supervisor: Dr. Markus Eich. Dr. Eich has been a fantastic supervisor for NI ARC, providing advice, support, and helping us with many aspects of the project. We hope that he will be able to continue to supervise QUT Robotics Club’s NI ARC teams into the future. The QUT Grants and Development Office, particularly Sarah Pearce. Funding for this project was provided in part by the Student Services and Amenities Fee (SSAF). Lindsay Watt (team leader), Samual Ashcroft, Lachlan Robinson (treasurer), Jordan Laurie, Nicholas Clegg, Tobius Daichi.